Starter Notes Alternatively, you can forgo Warrior's Blessing in replacement for Chalice of Healing if you want. Hello to all the lovely people on Smitefire, this is Stuke here again for another guide. In this guide, you'll learn how to play the best and favorite god of not only me but everyone else in the game Bellona. Have I mentioned that I love this god so much, there is nothing wrong with her at all; the pinnacle of balanced. Note: you don't have to follow this guide to the smallest detail, these are suggestions on how to play Bellona. I encourage you to look at the comment section below and see other suggestions. Bellona is a Physical, Melee, Warrior whose main role is to up into a fight and using her large range of utility and control to sway the battle her way. Being a good fighter and with her natural tankiness, she is very fun and a god that everyone who first picks up the game should get to know because she's so great to have. This is THE best passive in the game EVER, every time you hit a target or get hit by an enemy god's basic attack, you gain a stack of protections and movement speed. This ability is so great that she could build full power and still be tanky enough to fight the whole team. A spectacular ability, this lets you move a short distance and apply a slow to any enemy caught in the small cone in front of you when you reach your destination. This Weapon Mode gives Bellona a shield and sword that when you get 3 successful basic attacks, it adds a 30% block stack with a max of three, so this makes this weapon form great for boxing as you'll not be taking so much damage in a fight. Another incredible ability that lets you clear and is your main damage dealer. You spin around once and slam your hammer on the ground, but there's more. If you hit a target with the spin, the slam will do more damage and that damage will increase the more enemy gods get caught in the slam. This weapon mode gives Bellona a large war hammer that gives her Auto-Attacks AoE damage (like Osiris) and gives her the power that can take down anyone without a problem. A superb ability that gives Bell her control and sustains. This is a simple long ranged attack that not only hurts but if an enemy god is hit by it they are disarmed for a duration. A great tool for making AA Based gods nearly useless. This Weapon Mode gives her a scourge that not only gives her additional range on her melee attack, but every 3 successful basic attacks give her a percentage healing as this is something she needed to stay in a fight. The greatest ultimate to round this god out. This is what makes her amazing and a great team fighter. Bellona leaps through the air and stuns anyone in the radius of your landing. Not only that, but it gives you and an ally in the AoE extra protections and damage. A great initiator or escape; this is a huge part of what makes her not only a great god but the best fighter in the game. Bellona loves damage, protections, and CDR. She has great in-hand as well as ability damage. So, when you're building Bell, get your hands-on items that help with her Hybrid play style. You can also go strictly Ability or Auto-Attack based if you're feeling lucky but it's optimal to play with a balance of both more effectiveness. She has a great kit for it, so make sure you build her with that ability to fight as she will be in the thick of things. Being in the right weapon mode will depend on how you fight. Sword and Shield will make you more resistance, War Hammer makes your in-hands AOE deal more damage to multiple targets, and Scourge will give you more sustain healing every third hit. If the enemy manages to fight back, use your passive, 1, or ult to get away before things go from bad to worst. This is how you maximize her damage output and having the tankiness to stay in the fight. To be honest, Bell's abilities can be comboed however you like since she is able to. You'll most likely be in the lane or in the jungle farming up, but if the opportunity comes, use Bludgeon to push and to harass the enemy until they die as Bell has very good damage in that stage of the game. This is a bit lackluster for Bell as the enemy will be building up their defense, but if you managed to snowball in the Early Game, it will be a breeze for you. This is when that damage Bell lost in the Middle Game returns, while also building up your defenses will make you a front-line force throughout this portion of the game. Like usual, gank the lanes, secure objectives, and win the game. To conclusion, Bellona is a great god for beginners or people who want to have a good ELO, there is nothing wrong with this god and everything about this god is lovable as nothing is bad about her with my undying love for her. Remember to use that high damage to kill everything, make each weapon useful, and remember most of all to show why Bellona is war itself. Ok, I can't keep this charade up any longer; the lies are too much to take any more. **** THIS GOD, I HATE EVERY SINGLE LINE OF CODE ABOUT HER!!! OVERLY POWERED, OVERLY PROTECTIVE, AND OVERLY STUPID!!! NOTHING ABOUT HER IS ENJOYABLE AND I MIGHT GO POISON MYSELF AFTER MAKING THIS!!! **** YOU BRAN, GGF, PRISM, AND DUCKS FOR MAKING ME DO THIS; I HATE ALL OF YOU!!! Wouldn't it make more sense to go Ninja Tabi for Solo lane and Warrior Tabi for Jungle? Also no blink for jungle? 141172 Kriega1 Wouldn't it make more sense to go Ninja Tabi for Solo lane and Warrior Tabi for Jungle? Also no blink for jungle? That's what I'd do. I think the lack of Blink Rune is an oversight. 141180 Gulfwulf That's what I'd do. I think the lack of [[blink rune]] is an oversight. In place of frostbound should be your lane opponent defence item. Also for jungle get Warrior Tabi not Ninja Tabi. 136572 Kriega1 In place of frostbound should be your lane opponent defence item. Also for jungle get Warrior Tabi not Ninja Tabi. Isn't Berserker's Shield a bridge item that should be sold for something else late game? 136559 Gulfwulf Isn't [[Berserker's Shield]] a bridge item that should be sold for something else late game? Yes. Read Stuke's notes in the build list. 136561 Branmuffin17 Yes. Read Stuke's notes in the build list. In all seriousness is a good Bellona build? Or is it a troll? 133886 UPLAR In all seriousness is a good Bellona build? Or is it a troll? Not really a lot of health in the build. I would swap Masamune for Urchin. Also Beserkers gets sold lategame (e.g. for Void Shield). Add sprint as another relic option. Also not really many situational options (no midgardian etc...) and I have no idea why u would build Soul Eater on Bellona. I would list Frostbound over Blackthorn for Bellona. For the jungle build add ancile as a situational/alternative. 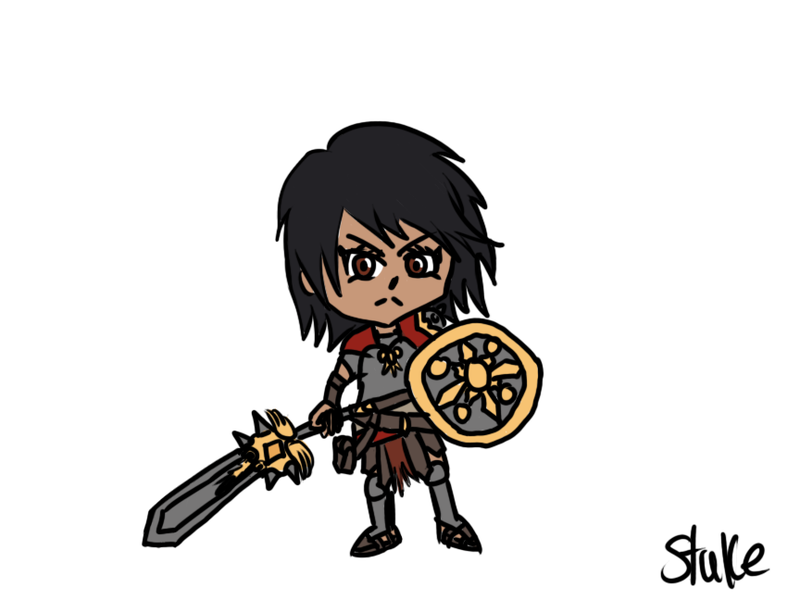 Have you ever considered making a Bellona build? you seem really knowledgeable and I wouldn't mind using a build or reading a guide that you make about her. 136484 AresTheThicc Have you ever considered making a Bellona build? you seem really knowledgeable and I wouldn't mind using a build or reading a guide that you make about her. I’m not really planning to yet, but my Osiris solo lane builds should be similar to what she would build except you always want beserkers over glad Shield on Bellona and you always want Ninja Tabi on her in solo. 136489 Kriega1 I’m not really planning to yet, but my Osiris solo lane builds should be similar to what she would build except you always want beserkers over glad Shield on Bellona and you always want Ninja Tabi on her in solo. Just fixed up the items a bit, and gave her more health items. 136544 Stuke99 Just fixed up the items a bit, and gave her more health items. I would never call this a troll build. It's defensive, as most Warrior Solo builds should be. If this was a full offensive build, then yes, that might be troll. We really need to reign in these "troll" statements. As it is, it's as Kriega has said...outdated. Not suggested for current play, and I also agree it's important to either list multiple builds or at least talk about various item options. 133891 Branmuffin17 I would never call this a troll build. It's defensive, as most Warrior Solo builds should be. If this was a full offensive build, then yes, that might be troll. We really need to reign in these "troll" statements. As it is, it's as Kriega has said...outdated. Not suggested for current play, and I also agree it's important to either list multiple builds or at least talk about various item options. It's very outdated. Look at the date it was last updated, it doesen't even have Berserker's Shield , and Ninja Tabi is better on Bellona than Warrior Tabi. And I also have massive problems with listing only 1 build for a solo laner, when many variety in builds is needed for different scenarios. 133887 Kriega1 It's very outdated. Look at the date it was last updated, it doesen't even have [[Berserker's Shield]] , and [[Ninja Tabi]] is better on [[Bellona]] than [[Warrior Tabi]]. And I also have massive problems with listing only 1 build for a solo laner, when many variety in builds is needed for different scenarios. Isn't this too much of a defensive build for her? 128188 DrinksAdmirer Isn't this too much of a defensive build for her? Bellona, like any other Warrior Solo-laner, is just fine building full tank. She DOES have good damage in her abilities, and really nice basic attack function especially from Bludgeon, so you can definitely consider hybrid items that have some offensive function. On the general hybrid side, you can consider items such as Masamune, Shifter's Shield, and Gladiator's Shield (the latter of which is listed in Stuke's build). You could also consider Mystical Mail in that group. On the focus on basic attacks, you can consider Frostbound Hammer (slows on basics) and Shogun's Kusari (group attack speed). But it's generally not recommended to go with things like Jotunn's Wrath or other full offense items, unless you're just messing around or stomping the enemy. 128194 Branmuffin17 [[Bellona]], like any other Warrior Solo-laner, is just fine building full tank. She DOES have good damage in her abilities, and really nice basic attack function especially from [[Bludgeon]], so you can definitely consider hybrid items that have some offensive function. On the general hybrid side, you can consider items such as [[Masamune]], [[Shifter's Shield]], and [[Gladiator's Shield]] (the latter of which is listed in Stuke's build). You could also consider [[Mystical Mail]] in that group. On the focus on basic attacks, you can consider [[Frostbound Hammer]] (slows on basics) and [[Shogun's Kusari]] (group attack speed). But it's generally not recommended to go with things like [[Jotunn's Wrath]] or other full offense items, unless you're just messing around or stomping the enemy. What Bran said. Generally warriors in the solo lane want to go with items that have a mix of power and protection, along with some CDR. Your job is to clear your lane and try to prevent your opponent from being able to do so. The power is to help do that while the protections are to help prevent your opponent and/or the enemy jungler from preventing you from doing that. You don't need aura items like a support because you're not there to support the team, but you do need to be able to both dish out and take damage. Otherwise you'll be a non-factor in the match. It's better to go 3-0-x than 12-11-x. 128203 Gulfwulf What Bran said. Generally warriors in the solo lane want to go with items that have a mix of power and protection, along with some CDR. Your job is to clear your lane and try to prevent your opponent from being able to do so. The power is to help do that while the protections are to help prevent your opponent and/or the enemy jungler from preventing you from doing that. You don't need aura items like a support because you're not there to support the team, but you do need to be able to both dish out and take damage. Otherwise you'll be a non-factor in the match. It's better to go 3-0-x than 12-11-x. Stuke, your starter costs 1350 gold. Where’s the other 150? Is it supposed to be Round Shield instead of Shoes? 127971 Jupiter_Guy Stuke, your starter costs 1350 gold. Where’s the other 150? Is it supposed to be Round Shield instead of Shoes? I'm not Stuke (but I'm buds with the bleach drinker), so I'll answer for him, and he can agree or contradict me to his shriveled heart's content. His starter is a base example. Seems like he prefers to rush Tabi, so Boots is the starter over Round Shield. He only shows 3 potions, and yes, it adds up to 1,350 gold. At your own preference, you can get up to 3 more potions of your choice...BUT...if you can get away with it, starting with 150 gold gets you that much closer to completing Ninja Tabi. If against a physical solo, his build progression goes into Gladiator's Shield next. This is a good item in this situation to provide some health sustain, since he didn't start with something like Chalice of Healing, and Scourge just doesn't heal enough to really count (and you don't want to use that on the wave, as it'll drastically slow your wave clear compared to Bludgeon). 127972 Branmuffin17 I'm not Stuke (but I'm buds with the bleach drinker), so I'll answer for him, and he can agree or contradict me to his shriveled heart's content. His starter is a base example. Seems like he prefers to rush Tabi, so [[Boots]] is the starter over [[Round Shield]]. He only shows 3 potions, and yes, it adds up to 1,350 gold. At your own preference, you can get up to 3 more potions of your choice...BUT...if you can get away with it, starting with 150 gold gets you that much closer to completing [[Ninja Tabi]]. If against a physical solo, his build progression goes into [[Gladiator's Shield]] next. This is a good item in this situation to provide some health sustain, since he didn't start with something like [[Chalice of Healing]], and [[Scourge]] just doesn't heal enough to really count (and you don't want to use that on the wave, as it'll drastically slow your wave clear compared to [[Bludgeon]]). Would you make any changes for season 5? 125529 Rated_Ex Would you make any changes for season 5? bellona is annoying but shes too thicc to hate. 123706 ArtioIsABalancedMilf 🅱️ellona > sun wukong bellona is annoying but shes too thicc to hate. Just Some critiscm but can u please add death toll to the starting items on bellona cause while bluestone pendant is ok on her, her early game is also mostly based on auto attacks. Also isn't gladiator shield and mystical mail early game items? What could those items be replaced with later on in the mid to late game? 121107 TheFireRogue Just Some critiscm but can u please add death toll to the starting items on bellona cause while bluestone pendant is ok on her, her early game is also mostly based on auto attacks. Also isn't gladiator shield and mystical mail early game items? What could those items be replaced with later on in the mid to late game? If I were to go all out damage would that work? if so what items? 113579 MGT Gaming If I were to go all out damage would that work? if so what items? I'd say: Warrior Tabi, Hydra's Lament, Jotunn's Wrath, Stone Cutting Sword, Wind Demon, and Deathbringer. 113584 Stuke99 I'd say: [[warrior tabi]], [[hydra's lament]], [[jotunn's wrath]], [[stone cutting sword]], [[wind demon]], and [[deathbringer]]. Thanks for the guide stuke! Now I'm having so much fun making everyone hate me! Rock-a-Bellona! 110631 Neckcutta420 Thanks for the guide stuke! Now I'm having so much fun making everyone hate me! Rock-a-Bellona!